The study was carried out because, according to a group of researchers led by Chandra Bhushan, it was felt that the safety of GM crops and products has been a matter of concern for human health, and risk assessment on a case-by-case basis is critical for a country-level decision to allow or restrict GM foods. The study finds that 65% (13/21) GM-positive samples did not mention anything about GM on their labels. 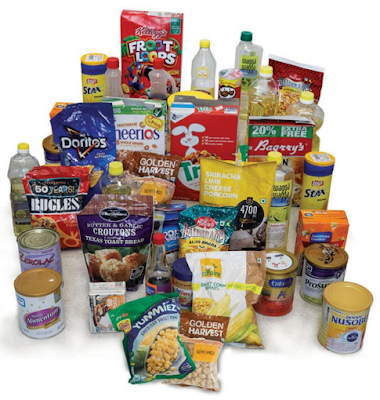 These include canola oil brands (Farrell imported from UAE by Jindal Retails; Hudson’ from UAE, marketed by Dalmia Continental; Jivo from Canada by Jivo Wellness; and cottonseed oil brands from India (Ankur, Ginni, Tirupati and Vimal). Addressing media, well-known environmentalist Sunit Narain, who heads CSE, while releasing the study, said, opinion on whether GM food is a health hazard, is divided, adding, the research findings, however, strongly refute Government of India claim that no GM food is available in India. Stating that “no standards” for GM foods have been laid down/notified by Food Safety and Standards Authority of India (FSSAI), which falls under the Union ministry of health and family welfare, researcher Bhushan told media, as of today, labeling of GM foods is mandatory in the European Union, Australia, New Zealand, Brazil, South Korea and Japan, and is voluntary in US and Canada. Pointing out that thresholds, based on quantity of GM DNA or weight of the GM ingredient in the total product, is 5% in Japan, as against EU, which provides a limit of 0.9% “in view of adventitious or technically unavoidable presence”, Bhushan took strong exception to an FSSAI proposal seeks to follow the Japanese model, without caring to note that, in Japan, it is applicable to only to a list of 33 processed-food categories derived from eight approved GM crops.